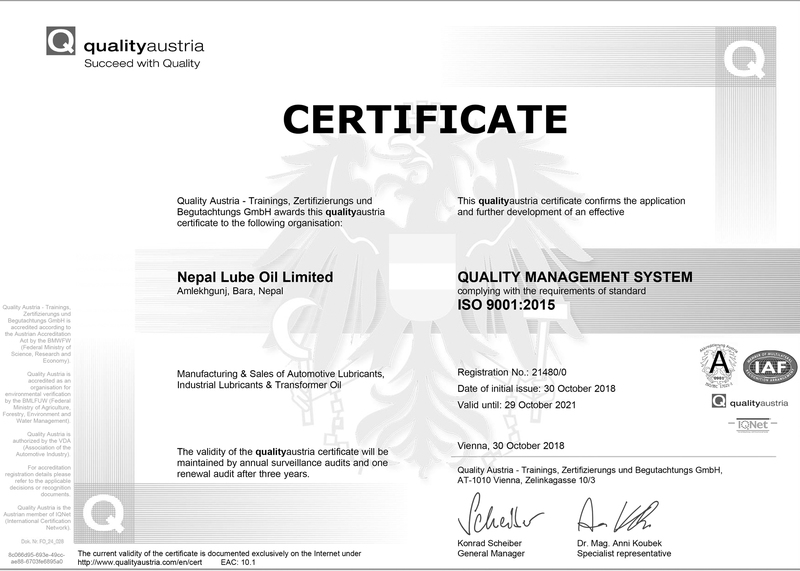 Due to the consistency of the quality products, the company has been certified by ISO 9001:2015 quality standards. 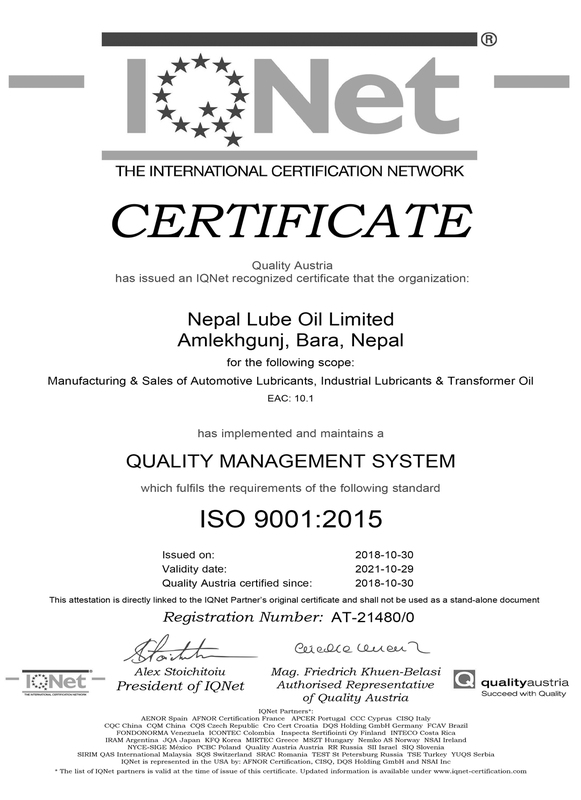 In the technology used in blending and manufacturing process, Nepal lube oil limited has PLC-controlled blending and packaging facilities. Quality control department inspects the quality of the incoming and finished goods. Production, store as well factory manager inspect the packaging of the finished goods. The finished goods are packed in different pack sizes like 1, 3,4, 5,6,7,7.5,8,10, 15, 20, 50 and 208 liters sizes.